Employees who are diagnosed with cancer may be entitled to workers’ compensation benefits in Maryland if the cancer is related to their employment. The worker must prove that the cancer was the result of working conditions or the exposure to toxic materials that was a normal part of the employee’s duties while performing his or her job. However, the workers’ comp rules for firefighters who develop cancer are slightly different from the rules for other workers. The firefighter is unable to perform his or her normal duties as a firefighter. The presumption of the occupational illness should make it slightly easier for the firefighter to qualify for workers’ compensation benefits compared to some workers in other occupations. Instead of proving that the firefighter’s employment caused cancer, he just needs to establish through medical records that the cancer was caused by a toxic substance the firefighter came into contact with while on the job. However, the presumption that the cancer is an occupational illness is only the first step. The firefighter must also prove that cancer prevents him from performing his duties as a firefighter. Only then can the firefighter recover benefits under the workers’ compensation system. 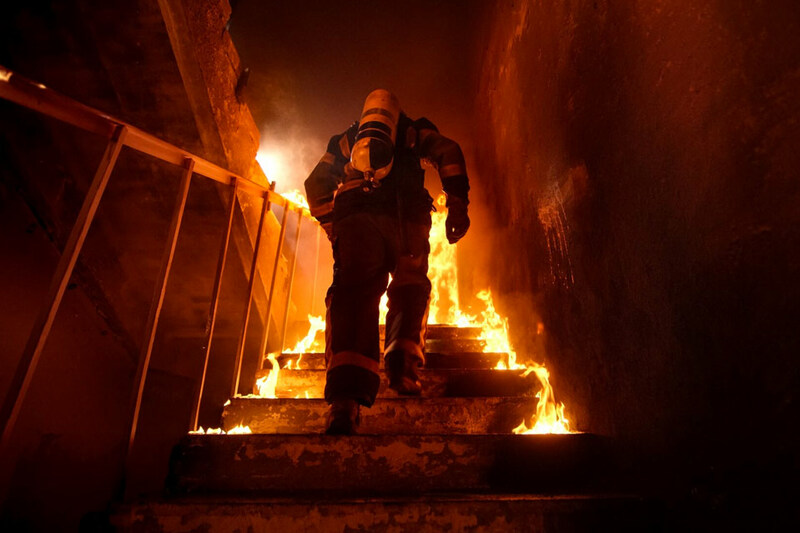 Can a Retired Firefighter Qualify for Workers’ Comp Benefits for a Cancer Diagnosis? Yes, a retired firefighter may be eligible for workers’ comp benefits even though he or she is retired when the cancer diagnosis is made. If the cancer is listed in the statute and it was caused by a toxic substance the firefighter came into contact with in the line of duty, the firefighter may still be eligible to receive workers’ comp benefits. The workers’ comp laws might state that it is presumed your cancer diagnosis was a work-related illness because you were a firefighter, but that does not mean your workers’ comp claim is automatically approved. The workers’ comp insurance carrier could deny your claim for benefits. If so, you could sustain a substantial financial hardship as you attempt to pay for the cost of cancer treatments. You have the right to appeal the denial. It is important to contact a Maryland workers’ comp attorney immediately if your claim is denied. You want to begin the workers’ comp appeal process as soon as possible. Even though you may be entitled to retroactive benefits, you cannot wait for the appeal to conclude to seek treatment for cancer. Therefore, the sooner you begin the appeal process, the quicker you may receive the benefits you deserve. You can request a hearing if your claim is denied or you disagree with the benefits you are receiving for your claim. You have the right to retain an attorney and have the attorney represent you during the appeal process. A Workers’ Compensation Commissioner will hear the appeal, including evidence that you present that supports your claim. Evidence may include written evidence and testimony. A written order is filed within 30 days of the hearing explaining the Commissioner’s decision. If you are not pleased with the outcome of the hearing, you can file a motion for a rehearing. The request for a rehearing must be filed within 15 days of the Commissioner’s decision. Requests for rehearing are typically denied unless you can demonstrate that the Commissioner made a mistake or technical error, or you have new evidence to support your claim that was not available at the time of the original hearing. If the request for rehearing is denied or you are not satisfied with the outcome of the rehearing, you can appeal the decision to the Circuit Court. You must file the appeal within 30 days. It is strongly recommended that you retain a Maryland workers’ comp attorney for an appeal to Circuit Court. The rules and deadlines are strictly enforced. Furthermore, appeals to Circuit Court involve a formal trial instead of a hearing before a Commissioner. An experienced workers’ comp attorney can provide the legal advice and support you need as you fight for the workers’ comp benefits you need and deserve. Contact Pinder Plotkin LLC at 410-661-9440 to schedule a free case review with a Parkville workers’ comp lawyer.